Americans make such a big deal about royalty. Remember Princess Diana? 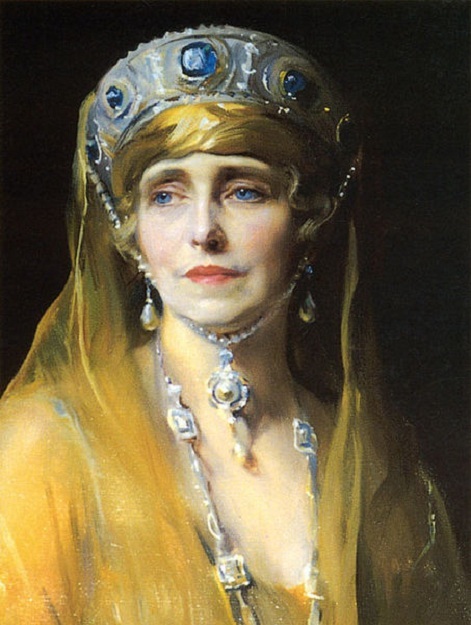 But before her, there was Queen Marie of Romania. She made a tour of the United States in 1926, and it was front-page news every place she went. Especially here in Chicago. Marie wasn’t Romanian. She was part of the British royal family and was married to the king of Romania. He was a cipher. Queen Marie ran things. Remember, in those days, in most countries, women didn’t even vote. When she came to America, Marie was 51 years old. Her reputation preceded her. She’d had some well-publicized love affairs, so people wanted to get a look at this powerful, notorious woman. She arrived at Union Station on November 13th, and it was the usual circus. Mayor Dever was at the train station, along with a few million spectators and a few million reporters taking pictures. Then Marie moved on to the Drake for dinner with some of the Important People. She smoked a few cigarettes–which showed she was a “liberated” woman–and told stories, and joked around, and charmed everyone. The next day, they took her on a tour. She visited some sights and had tea with more Important People. At Lincoln Park she got out of her car and chatted with a few Romanian women, which put the whole tour way behind schedule. She did a radio broadcast. That night there was another banquet. The third day was more of the same, and then she left. 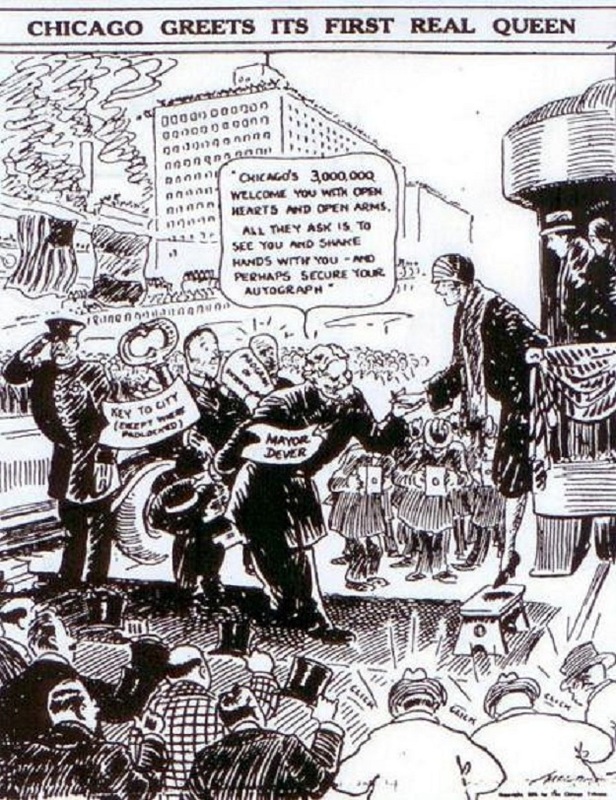 Queen Marie never came back to Chicago. Her husband died, and her son turned out to be a disaster as king. She died in 1938. Marie wasn’t like the other royal snobs of those days. She seemed down-to-earth and human, and she knew how to make the right gesture for the right occasion. I&apos;m thinking about the photographers here. When Marie first arrived in Chicago, she very sweetly asked them not to take flash photos of her when she was walking down stairs, because it blinded her and she was afraid of falling. That was reasonable, so the photographers honored her request. That was Queen Marie for you.